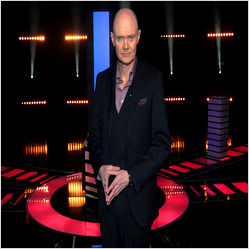 Sean Moncrieff is to return to TV Screens as a quiz show host on TV3. Crossfire is the latest quiz show format from TV3. TV3 have reported that they are delighted with the reception of their current quiz-show The Lie, which saw an average audience of 200,000 viewers. Both show air on the channel at 8pm Monday and Friday each week, Crossfire will take over from The Lie when it finishes its run in March.